You get what you pay for. It did come quickly. 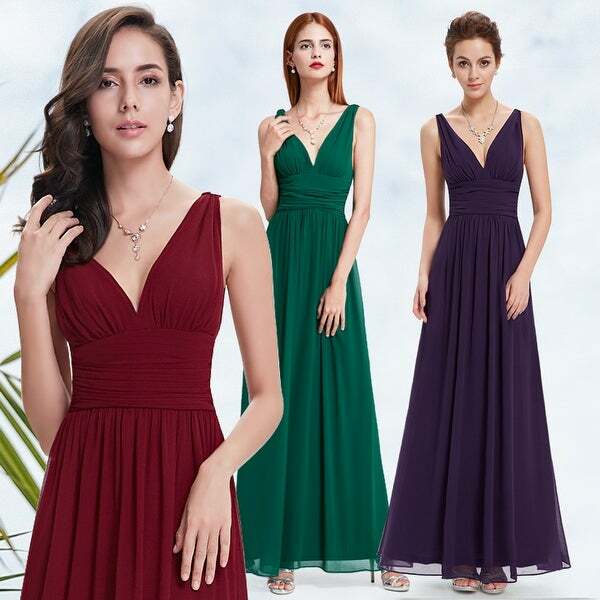 Bought for daughter as potential prom dress, color was accurate (purple/plum) but material not so nice and the fit was not great, ran a bit big. Returned it. Loved multi color of this dress I believe it looks a thousand times better on the larger model. I'm not model skinny either. So thank you for having the larger model I would not have bought it it looks like a totally different dress on the smaller model.